Facilities such as the Tuck shop and Coffee Shop are in operation during high season in December only. No restaurant is available at this date. Please note for the purpose of buying groceries, restaurants, take-away food, fuel and gas, the nearest town is Humansdorp, 24km gravel road from Oyster Bay. 1. No hawkers and hawking are allowed in the resort. 2. RESERVATIONS: A 50% deposit is required to confirm any reservation. Kindly confirm reservations well in advance to avoid disappointment. If the deposit is not received by the due date, the reservation will be cancelled automatically. 3. PAYMENT: Full payment must be made before camping commences. NO CAMPING will be allowed unless the full amount has been settled on arrival. 4. NO CREDIT CARD OR OTHER CARD FACILITIES ARE AVAILABLE. NO CHEQUES WILL BE ACCEPTED. 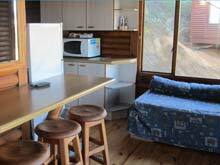 Only cash, bank transfers or bank deposits may be used as payment for accommodation. Please provide proof of deposit or transfer payments on arrival. It is also possible and preferred that outstanding payments be deposited directly into our account. Proof of payment is however required on arrival. 5. 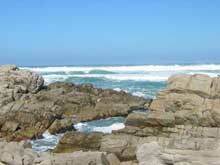 In Season Tariffs apply during: December / January and the March / April School Holidays. A visitors fee is payable for every person entering the Resort. It is not allowed for guests to invite friends to visit them in the resort for whatever short time without permission from the Management and before the due payments are made. ALL visitors must report to the office on arrival and before visiting and use of the facilities can commence. The same rules apply to any day and overnight guests. Please adhere very strictly to this rule in order to avoid any possible conflicts and embarrassment. VISITORS HOURS: 08 am – 5 pm. All visitors must leave the premises by 5 pm. 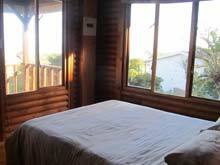 Should visitors wish to stay overnight, they must first pay the overnight fee. Visitors, who have not paid the fee to enter the premises, will be treated as trespassers. 7. In the case of non-arrivals, or if a stand is not being used, Management has the right to re-allocate the stand after 24 hours late arrival without refund, unless prior arrangements have been made for the late arrival. The same applies to early departures. Please note that should guests arrive a day(s) later or depart earlier than an original reservation, guests are still held accountable for the full amount to be paid as stated in the original reservation. No refunds are made. 8. An additional vehicle may be allowed if it also fits on the reserved stand and also at the prescribed fee payable in advance. Additional parking may be provided for any additional vehicles if space is available in the resort. Kindly arrange additional parking with Management, especially during the December holidays when the Resort is full. Always park the vehicle on your own stand to avoid conflict and inconvenience. 9. 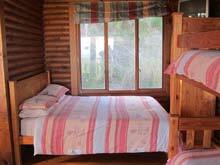 A key deposit of R200.00 (Six Hundred Rand) in cash is payable on arrival by our Chalet guests. This is to cover the damage incurred. Where no damage is found after departure, the deposit will be refunded in full within 7 working days. 10 a) A resort gate entry tag deposit of R 100.00(One hundred Rand) in cash is payable on arrival by all guests and is refundable on the return of the tag on the day of departure. 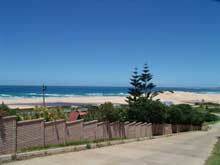 b) A limited amount of braai facilities are available at the resort. Should you decide to borrow one of our fold-up braai’s, please return it as you found it. 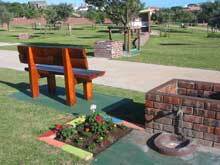 Guests are encouraged to bring their own braai facilities. 11. 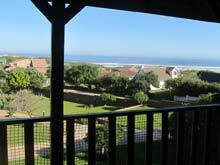 NO SMOKING will be allowed in any of our chalets, ablution buildings, coffee shop, tuck shop, restaurant, sun deck, laundry, office, kitchen , kiddies play area’s and swimming pool area. We implore guests to be considerate and to comply to this mandatory rule at all times. 12. Ground cover. No PVC or solid plastic ground sheets will be allowed. 13. CAR WASHING. We are in a drought stricken area. We implore guests to refrain from washing cars unnecessary. However, please obtain permission from management before washing vehicles. The reason is that if the water shortage is severe and that the local Municipality fines people who wash cars, that we as Management can guide our guests accordingly. 14. When cleaning fish, please wrap the “remains” and place it in a plastic bag and then in the refuse bins. 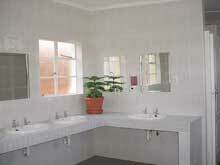 This will enhance hygiene and help prevent unnecessary odour. 15. REFUSE. Please place refuse inside the bins provided. 16. Motorcycles or four wheelers may be ridden in the Resort at own risk but without making noise and being a disturbance to other guests. 17. SPEED LIMIT: For the safety of all campers and especially small children, the maximum speed allowed within the resort is 10km/h. Only those persons in possession of a valid drivers’ license are allowed to drive in the Resort. A maximum of two 4-man tents, one Caravan, one vehicle and six (6) persons are allowed and included in our tariffs per stand. This includes children and infants. Parties exceeding these numbers require more than one stand. Rare exceptions or concessions are made on this rule. 19. PETS: In general no pets are allowed. i.e. Large dogs and cats or animals that can be a disturbance to guests. Management must be notified in all instances to authorize guests who wish to bring pets into the resort. 20. 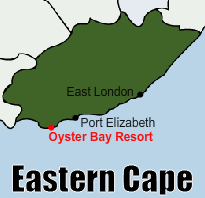 BATHROOMS: Oyster Bay is situated in a water scarce area. Please use water sparingly. Consider the next person and tidy up after own use. Children under the age of 6 or any person, who need assistance, must please be accompanied by an adult at all times. This rule is rigidly applied and drastic action is taken against vandalism and offenders in our bathrooms. Children must please be accompanied by adults when using facilities such as the trampolines, jungle gyms, play areas, pool area, etc. We implore parents to take care of their own children to avoid fighting and accidents to happen. It is ultimately the responsibility of each parent to see to his child’s welfare. 22. RESORT PERSONNEL: Please do not approach our staff directly to help with chores such as dish washing, car washing, ironing, etc. The Personnel already have their full time duties. Instead, kindly speak to Management if you do require someone to help you with anything. Management shall do their outmost to assist where possible. Kindly report all incidents directly to Management. 23. TRESPASSERS: These are persons on the property who did not pay the relevant fee, or those individuals who enter the premises without permission from the Management. This also includes visitors to residents who have not paid in advance for their visit. 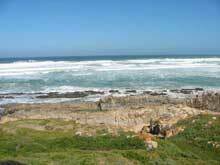 All persons making use of our Resort and facilities do so at their own risk. The Owner, Management and Staff of this Resort are indemnified from any responsibility pertaining to damage, loss or accidents that might occur, to any guest or visitor, during their stay in the Resort. No loud music and noise are allowed. Please keep the other campers in mind, especially after 10 pm at night. This behaviour is unacceptable and will not be tolerated. Severe action will be taken against vandalism and may be evacuated from our premises. Parents, whose children are abusive with any property, will also be held accountable. 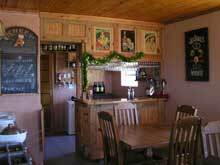 We have plenty of hot water and more than enough bathroom facilities. However, if toddlers swim in baths, waste water and occupy showers hours on end without parents in attendance then we can run out of hot water and enough time for all to shower during peak times, especially with a camp full of people. We implore parents to supervise and see to their children’s good conduct in our ablutions. The trampolines are used at own risk. No shoes or sharp objects are allowed on the trampolines. Kindly refrain from jumping on the trampolines after 9pm at night as this creates a lot of noise. We ask parents to take good care of their children whilst they are using the trampolines. Accidents happen very quickly and it can spoil a good holiday. 30. 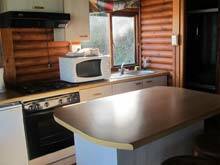 CHALETS: Only reserved chalet guests are allowed in the chalet areas. 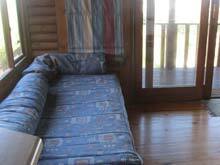 Kindly note this area is private and exclusive for the use of chalet guests at all times. 31. AMENDMENTS: The Management reserves the right to make changes to site/stand allocations without prior notice. The Management may also make amendments to the Tariffs, Rules and Regulations of the Resort at any time, without giving prior notice. 32. Management reserves the right to terminate the occupancy of any misbehaving resident, who fails to comply with the Rules and Conditions of the Resort, or those who are creating any form of nuisance or annoyance, which in any way interferes with the quiet or general comfort of other residents/campers. Alcohol abuse is not acceptable and the use of alcohol by minors is forbidden in the Resort. No refund will be given to individuals evacuated from our Resort under these circumstances. 33. Sizes of stands are approximately between 7,5m and 8m wide and 14m long. The onus remains with campers, to establish if camping gear (Caravan/Tent/Mobile Home) and vehicle will fit onto the reserved stand of the guest, in the Resort. 34. Please do not park your vehicle on an open site, as this site may be booked and guests may arrive at any time. It is really frustrating when new campers arrive and a vehicle is parked on their site, especially if the owners have left the premises and we cannot reach them. 35. Mobile Home owners must take note that the entrance gate to the Resort can only allow passage to the maximum height of 3.0 meters. 36. Check in times are strictly between 10am and 4pm from Monday to Friday. If guests check in outside of these hours, prior arrangements must be made with management. Refer to tariffs for late check in and check out charges. (three hundred and fifty rand). 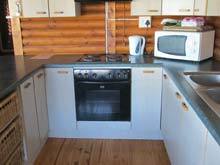 • we, your hosts have more time to ensure your comfort, have less frustration with people claiming “they did not know” and could not care less about other campers; •Management have taken all possible care to make serviceable facilities available to ensure your comfort, If for any reason the functionality of any service fail, we shall endeavour to rectify same. If this is not possible, waving of fees, paid by guest, will not be entertained or even be a consideration. • Guests must avoid misbehaving or causing a disturbance. YOUR RESERVATION WILL NOT BE ACCEPTED AND PROCESSED IF THIS PAGE IS NOT SIGNED AND SUBMITTED TOGETHER WITH YOUR APPLICATION FORM. With my signature below, I hereby agree to comply with the Rules and Conditions of Oyster Bay Resort as stated above and also that my camping gear will fit onto the stand that is allocated to me, by the Management of Oyster Bay Resort.